If you are charged with a felony or misdemeanor and awaiting trial, you understandably want your case resolved as quickly as possible. Indeed, the Sixth Amendment to the United States Constitution guarantees all criminal defendants the right to a “speedy” trial. But what exactly does “speedy” mean? With respect to federal crimes, the law states that when a defendant pleads not guilty, his or her trial must begin no later than 70 days after the indictment is filed or the defendant makes their first court appearance to answer the charges, whichever occurs later. The indictment must be dismissed if trial does not begin within this 70-day window, unless the judge “tolls” or stops the clock based on one or more factors specified in the law. For example, the judge might grant a delay to give the defendant “reasonable time” to obtain a lawyer or grant the prosecution time to prepare a complex case that requires more than 70 days to prepare. More recently, the U.S. 11th Circuit Court of Appeals reversed the conviction of a Miami defendant who waited more than a year for trial. Prosecutors claimed they needed “between five months and one year” to consider whether to seek the death penalty (which they ultimately did not). The defendant repeatedly objected to the delay, but the judge simply did not listen. Instead, the judge declared the parties had agreed to a one-year delay–which they did not–and entered an order without making any of the specific findings required by federal law. Accordingly, the 11th Circuit said the defendant’s conviction here could not stand. But the court left open the possibility of retrying the defendant. The trial judge will have to weigh a number of factors, including the “seriousness” of the defendant’s alleged crimes, in deciding whether retrial is justified. It should be noted the 70-day limit applies to federal crimes only. In Florida, state law requires trial of a misdemeanor within 90 days and a felony within 175 days of arrest. While a speedy trial is usually in a defendant’s interest, there may be situations where a delay is necessary or preferable. An experienced Miami criminal defense attorney can advise you on the best course of action. 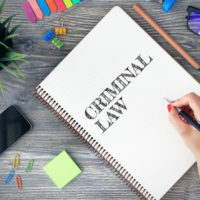 Contact the Law Office of Julia Kefalinos today if you have been charged with a felony or misdemeanor and require immediate legal assistance.